CSC systems are acclaimed for their dependability, which they demonstrate even in the most extreme weather climates. Their attributes include wide operating ranges, low energy usage, many communications options, and the flexibility to support a wide variety of measurement and control applications. Applications include, agriculture, air quality, fire warning, water quality, weather and climate recording, structural monitoring, Geo-technical monitoring and mining. Rotronic and CSC have been business partners for many years, CSC uses the standard Rotronic meteo probe in many applications. Recently CSC installed the probe in a network of Road Weather Information Systems in Kelowna, British Columbia. CSC selected the probe because of its reliability, ease of use and accuracy. The HC2A-S3 is also highly regarded for its ability to function in extreme temperatures, this makes it good for the Canadian climate, and a perfect complement to Campbell Scientific systems. For more information on the latest HC2A-S click here ,or for any of our products please visit the Rotronic website. Switzerland has around a dozen duty-free warehouses. These warehouses are transit zones for the storage of goods whose main advantages are the temporary suspension of customs law and taxes. They benefit not only from a location in the heart of Europe, but also from legal and political stability. The company Ports Francs et Entrepôts de Genève SA, is based in La Praille, where it manages a floor space of 150 000 m², half of which under the Swiss customs regime (duty-free). To ensure it is able to meet high standards in quality and security, Ports Francs opened a new warehouse in 2014. It was specially designed to store valuable products in accordance with the requirements of insurers. To establish the necessary climatic conditions, Rotronic HF1 temperature and humidity transmitters were installed to enable control of the optimum storage climate. There are currently 10 duty-free warehouses in Switzerland. Duty-free warehouses are usually located near national borders and airports. In contrast to most other countries, there is no time limit for storage in Swiss duty-free warehouses for goods not stemming from Switzerland. In 1888 the canton parliament approved the establishment of the operating company Ports Francs de Genève SA, which was later renamed to Ports Francs et Entrepôtsde Genève (PFEG). strong development in the art and wine market has given rise to special security and quality requirements concerning,in the first instance, storage conditions (temperature, humidity and vibrations). The new warehouse building, designed in collaboration with specialised contractors, was inaugurated in 2014. The building, which serves mainly to store valuables such as antiques, works of art and wine, is the result of close co-operation between various specialists in security issues, insurance, energy and architecture as well as the end users. The numerous elements listed in the requirement specification included the critical details relating to climatic conditions (temperature and humidity) in the building’s storage rooms. To ensure a high standard of quality and security, Ports Francs et Entrepôts de Genève SA approached the Zurich-based company Rotronic AG in Bassersdorf. “We need precise and stable measuring instruments,” says technical director Marc Golay. The building concerned is equipped not only with a ventilation and air-conditioning system (humidity and temperature), but also with a central building management system utilising the concepts of MSR (measuring, control and regulation). The building is divided into two large parts. The first is for storage of wine in accordance with applicable regulations (70% humidity, 13°C), as in the cellars of our forefathers. The second part is reserved for sensitive and valuable goods, primarily paintings (55% humidity, 21°C). “Since it was one of the main aspects of the building concept, we also wanted to have the possibility to trace the climatic conditions during storage.” This very functional location enables arrival of the goods by road with a loading platform and direct access to the premises. Equipment rooms, escape routes, freight elevators, elevators and sanitary facilities round off the building. “We wanted a system able to maintain a constant level of humidity and a constant temperature everywhere and at any time of the year. To ensure control and logging of these parameters, we opted for the measuring instruments from Rotronic”, adds Marc Golay. Depending on the storage area of the goods, it is not always easy to check whether ventilation and air replacement are working effectively everywhere. The solution was to utilise 227 Rotronic HF1 transmitters within the complete premises. The instruments are monitored remotely by the MSR system from the Geneva manufacturers EnerBat – a specialist in the technical and energy monitoring in buildings – the system checks daily that the temperature and humidity requirements are being met. Since the building was designed to guarantee the best storage conditions, it does not have any windows so that the climatic conditions can be kept as stable as possible. To improve security for protection and prevention of fires, all stores are equipped with a common, dedicated gas extinguishing system. Why was Rotronic preferred over other companies? “It is a company with an excellent reputation that takes action immediately when necessary. It is extremely important that the probes work reliably and accurately as they deliver all the information on the climatic conditions in the building,” explains the technical director. Thus the importance of the measurements. The wall mount T/rh probes for the duty-free warehouse were fastened to the walls at a height of about 150 cm from the floor. They enable control of the temperature and humidity in the room air and emit a warning signal when limits are exceeded. The probes are also connected to the wider systems via analogue and digital outputs and finally integrated in a Scada monitoring system. “We decided to use the products from Rotronic because they were the best value for money,” says Fabien Caradot from Elitec. “There were of course other possibilities, but at the same price Rotronic scored higher with its HF1 product range in terms of quality, reliability of the material, technical support and calibration.” Elitec, which originally worked in the manufacture of electrical switchboards, today employs around 20 people and rounds off its portfolio of services with the fields of building automation, home automation and various inspection services such as technical and schematic analyses. Some of the key factors for improving energy efficiency in relation to indoor applications are the control of Relative Humidity (RH) and temperature. The question is, how to control RH to acceptable levels in an energy efficient manner. Energy efficient humidity control has a very strong bearing on thermal comfort, Indoor Air Quality (IAQ) and eventually on the health and performance of occupants in air-conditioned buildings. Passivhaus buildings are built to a voluntary standard to improve energy efficiency and reduce ecological footprint. IAQ control seeks to reduce Volatile Organic Compounds (VOCs), and other air impurities such as microbial contaminants. As such it is important to control relative humidity which can be a key factor leading to mould growth and the presence of bacteria and viruses, dust mites and other such organisms. Air-conditioning systems typically employ a high level of air recirculation to save energy during cooling and dehumidification. Typically recirculation rates are around 80-90%, but can sometimes be even higher. The challenge is not so much in dehumidification, but in doing so without having to overcool. As such, ventilation is integrated for general comfort and economical saving. Rooms are often designed with specific conditions in mind including temperature, humidity, brightness, noise, and air flow. Careful engineering and implementation of building automation and control is the only way to ensure energy efficiency and building operation conditions are met during occupancy, at the lowest possible costs. Energy Efficiency (EE) refers to either the reduction of energy inputs for a given service or the enhancement of a service for a given amount of energy inputs. Relative humidity is highly temperature dependent, so if the temperature is stable, it is much easier to achieve a stable RH. Air in our atmosphere is a mixture of gases with very large distances between molecules. Therefore, air can accommodate a large quantity of water vapor. The warmer the air, the more water vapor can be accommodated. Why the need to measure, temperature and relative humidity? Precise temperature control of air which is supplied to a room results in maximum comfort for the occupants. The temperature should be held constantly at a particular set point to achieve this comfort. Readings from temperature transmitters installed in the air supply duct are compared to readings inside a particular room. It is easiest to achieve a constant room temperature if there is little difference between the two values. Air temperature control in supply ducts can be employed in rooms in which the air handling unit is used mainly for the renewal of air. Rotronic manufactures temperature and humidity transmitters such as the one above which are suitable for use in spaces where appearance is a factor. It is with good RH control that we can process the air for air conditioned rooms independent of the state of outside air and the processes taking place in the room. This way the RH remains constant or within the preset limits and thus energy consumption for humidification and dehumidification is minimized. Air conditioning is supposed to maintain room temperature and RH as precisely as possible through the use of systems which monitor and control temperature and humidity in the room (or in the air supply ducts to the room). Systems must be dynamic to manage the changing room air quality depending on the occupants and usage. With precise measurement and control of temperature and humidity, energy consumption for humidification & dehumidification as well as heating and cooling can be reduced leading to energy efficient building operation with lower energy costs and healthier occupants. CO2 in Garages and Tunnels. Modern vehicle engines emit many harmful substances, including carbon monoxide (CO), carbon dioxide (CO2), nitrogen oxides (NOx), hydrocarbons and some 20 other gases. It is known that all engines produce CO, particularly at cold start. To protect ourselves from this toxic gas, vehicles are installed with catalytic converters. This means that a warm running modern engine with converter generates 140 times more CO2 than CO. 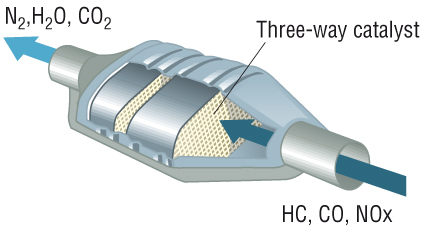 Catalytic converters convert a lot of the CO produced by an engine into CO2. The longest tunnel in Switzerland will be the Gotthard Base Tunnel (under construction) that will be 57km long. The tunnel is a railway tunnel. The longest car tunnel in the world is located in Norway, the Laerdal tunnel, 24km. The LEP tunnel in Cern, Switzerland/France is a 26km circular ring. Why the need to measure CO2? Old vehicles (pre-catalyst) generate a lot of carbon monoxide pollution, to solve this, modern vehicles were installed with catalytic converters. Catalytic converters are not very efficient during cold start up but once warm they can convert CO to CO2 very effectively. This means modern engines emit much higher quantities of CO2 than CO. It is well-known that CO is extremely toxic but CO2 in high levels can also be hazardous to health. To ensure healthy air quality it is important to provide excellent ventilation in garages and tunnels, however running a ventilation system constantly is inefficient especially when few cars are running at a time. 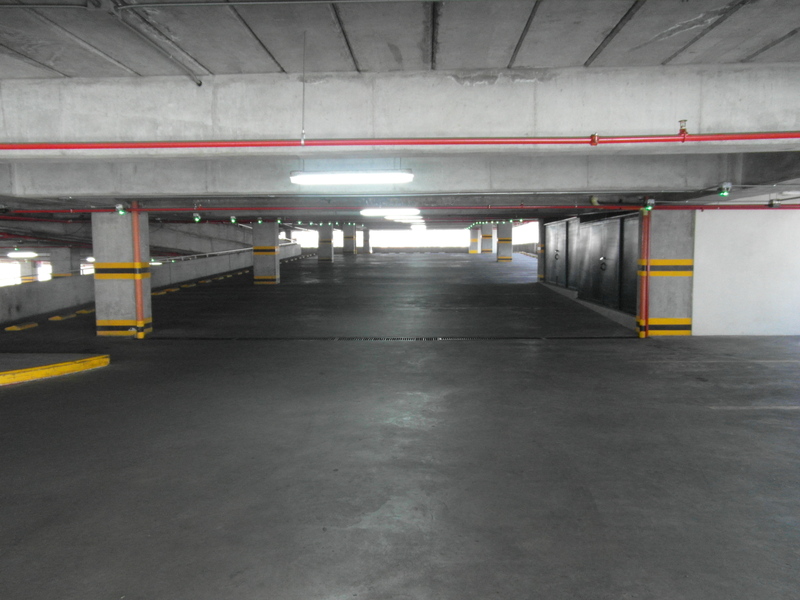 Levels of CO2 in large indoor car parks can become extremely dangerous if not properly controlled. In garages and tunnels vehicles can be operating in both warm and cold conditions, therefore it is important to measure both CO and CO2 to ensure a safe environment. Today there are laws around the measuring of CO – the maximum allowed value is 35 ppm. There are however, currently no rules on measuring CO2 but this is equally as important. A meter can both control and alarm locally, as well as being part of a larger complete system. This application is similar, for example, to the ventilation requirements in a classroom. The ventilation need depends on the number of cars running in a garage or tunnel instead of the number of students in a classroom. The sensors usually used to measure CO2 and CO in public garages and tunnels are capable of covering an area of around 250 m2. 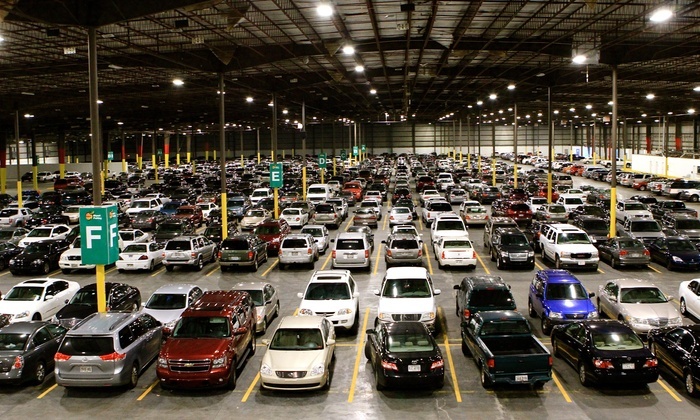 A study was made in a garage containing 77 parking places and covering an area of 1,445 m2. The study showed that using sensors to control the ventilation reduced the fan operating time by 90% compared to constant running. The electricity cost was about €0.09 per kW/h (including energy tax and VAT) and the fan used 1.5 kW/h in operation. This meant that the demand-control solution produced an energy saving, per month, of 970 kW/h, and a resulting reduction in running-costs of ca 85.32 €/month. If all residential garages were equipped this way the sum of energy saved would make for a considerable benefit to society and the environment. A larger garage would have saved even more money thanks to the controlled ventilation system. Ventilation plays a vital role in keeping in door parking spaces safe, especially when busy. Another benefit is fewer people suffering from CO or CO2 poisoning being admitted to hospitals. As well as being good for the health of the general public, This helps reduce the costs of health care to the government. Ceramic drying is one of the most important processes in ceramic production technology. Quality defects of ceramic products are caused by improper drying. The drying affects the quality of the finished product, the throughput but also the overall energy consumption for ceramic manufacturing enterprises. According to various statistics, generally energy consumption during drying processes represents 15% of total industrial fuel consumption. However within the ceramic industry, the energy consumption used for drying accounts for a much higher percentage of the total fuel consumption. Therefore energy saving within the drying process is extremely important for all enterprises. Drying speed, reducing energy use , ensuring high quality products and reducing pollution are all basic requirements for any ceramic manufacturer today. The casting and drying are important processes for ceramic. A forming workshop is equipped with an intelligent control system. The control system regulates the relative humidity value using information provided via room and process sensors. Sensors have to measure accurately ad repeat ably despite the challenging and often dusty conditions. Humidification and dehumidification processes require substantial energy so tighter control is a huge energy saver for these industries. A constant temperature is also achieved via the intelligent control system. With a stable temperature and stable relative humidity within the workshop, manufacturers ensure the quality of the ceramic body drying. After stripping the body from the cast, the body contains a very high relative humidity level. During the drying process, the body may crack or deform due to the speed in which the product is dried (volume and shrinkage) which ruins the product and decreases the throughput. Exactly this part of the process has become a major bottleneck within the production process of ceramic products. In a casting workshop, stable environments can reduce the cracking and deformation effectively. It also improves the throughput rate of semi-finished products and shortens the drying period, also prolonging the life frame of the plaster cast. So constant temperature and relative humidity according to the set values will help all factories to improve the throughput, reach an optimal drying speed and deliver the best quality results available. Rotronic provides a range of instruments for environmental monitoring and control. Rotronic HC2-IC industrial temperature and humidity probes, are successfully working in these tough applications, the probes are installed on the roofs of drying chambers and resist chemical pollution. With a flexible HF5 transmitter, the outputs can be set to the customers requirements. With both digital and a range of analogue outputs available as well as several probe mounting options, products can be selected for all applications. Measurement data can be viewed on HF5 with display or remotely via HW4 software. Ease of calibration and sensor replacement ensures down time is kept to an absolute minimum. Its been pretty windy recently, So wind farms are probably doing quite well at the moment. The biggest wind farm in the world, at the moment, is the London array, which can produce 630MW of power. The future is very encouraging for wind power. The technology is growing exponentially due to the current power crisis and the ongoing discussions about nuclear power plants. Wind turbines are becoming more efficient and are able to produce increased electricity capacity given the same factors. There is over 200 GW (Giga Watts) of installed wind energy capacity in the world. The Global Wind Energy Council (GWEC) has forecasted a global capacity of 2,300 GW by 2030. This will cover up to 22% of the global power consumption. A wind turbine converts the kinetic energy of wind into rotational mechanical energy. This energy is directly converted, by a generator, into electrical energy. Large wind turbines typically have a generator installed on top of the tower. Commonly, there is also a gear box to adapt the speed. Various sensors for wind speed, humidity and temperature measurement are placed inside and outside to monitor the climate. A controller unit analyses the data and adjusts the yaw and pitch drives to the correct positions. d: defines the density of the air. Typically it’s 1.225 Kg/m3. This is a value which can vary depending on air pressure, temperature and humidity. A^2: defines the diameter of the turbine blades. This value is quite effective with its squared relationship. The larger a wind turbine is the more energy can be harnessed. V^3: defines the velocity of the wind. The wind speed is the most effective value with its cubed relationship. In reality, the wind is never the same speed and a wind turbine is only efficient at certain wind speeds. Usually 10 mph (16 km/h) or greater is most effective. At high wind speed the wind turbine can break. The efficiency is therefore held to a constant of around 10 mph. C: defines the constant which is normally 0.5 for metric values. This is actually a combination of two or more constants depending on the specific variables and the system of units that is used. Why the need to measure the local climate? To forecast the power of the wind over a few hours or days is not an easy task. especially in hilly areas. Positioning towers only slightly to the left or right can make a significant difference because the wind velocity can be increased due to the topography. 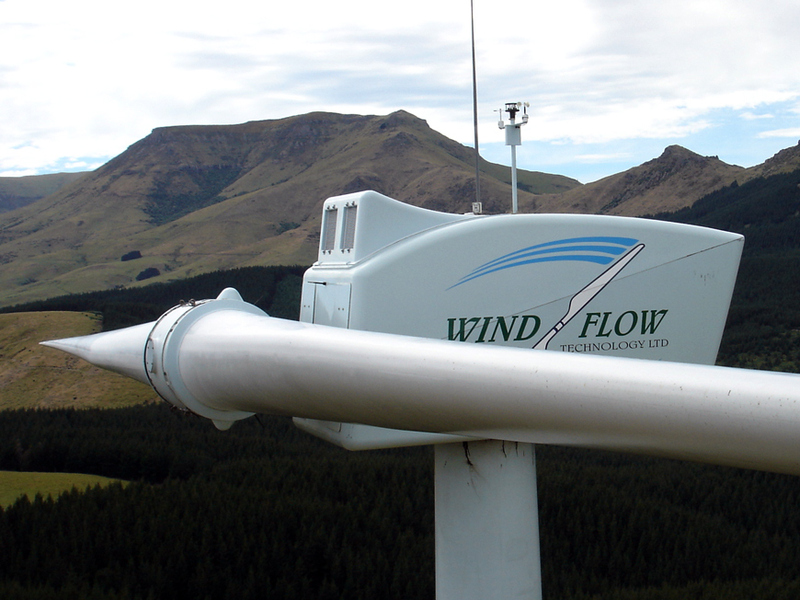 Therefore, wind mapping has to be performed in order to determine if a location is correct for the wind farm. Such wind maps are usually done with Doppler radars which are equipped with stationary temperature and humidity sensors. These sensors improve the overall accuracy. Once wind mapping has been carried out over different seasons, wind turbine positions can be determined. Each turbine will be equipped with sensors for wind direction, speed, temperature and humidity. All of these parameters, the turbine characteristics plus the weather forecast, can be used to make a prediction of the power of the turbine using complex mathematics. The final power value will be calculated in “watts” which will be supplied into power grids. Electricity for many houses or factories can be powered by this green energy. Why the need to measure inside a wind turbine? 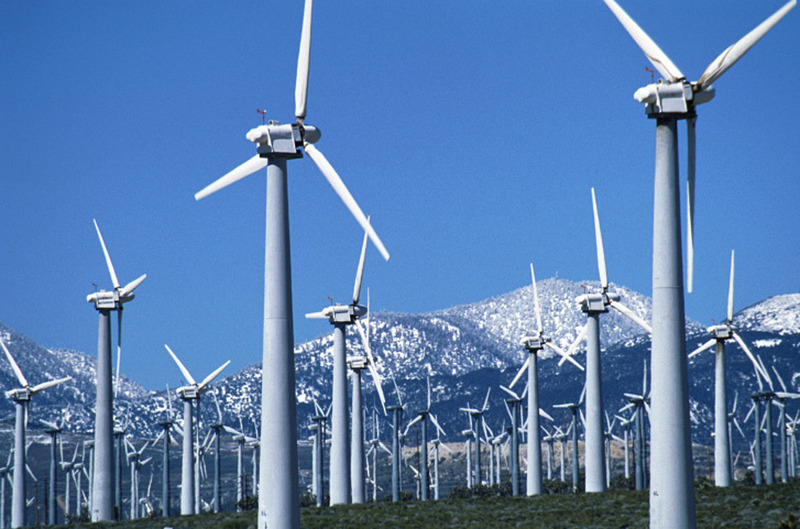 Wind farms are normally installed in areas with harsh environments where strong winds are common. Salty air, high humidity and condensation are daily issues for wind turbines. Normal ventilation is not sufficient to ensure continuous operation. The inside climate has to be monitored and dehumidified by desiccant to protect the electrical components against short circuits and the machinery against corrosion. Internal measurements are required to ensure continuous operation and reduce maintenance costs of a wind farm. Data centres are rapidly becoming the power houses of the modern world. Combined with the rise of digital industries, virtually all business operations now rely in some way on the transfer of data. As data transfer rates increase in tandem with an explosion in mobile communication the demands on data centre infra-structure are ever increasing. It is estimated that by 2018 global data traffic will exceed 8500 exabytes (32% compound annual growth rate). Data centres provide the infra-structure to support the transfer and hosting of data. They are often classified into 4 tiers. Tier 4 provides highest levels of redundancy, security and efficiency. For example, a Tier 4 data centre is required to have an uptime of 99.995% equivalent to less than 27 minutes downtime per year! Tier 4 sites have fully redundant systems, power supplies and biometric security. Zero downtime is the ideal as the costs incurred via end user penalties can be huge. Why the need to measure temperature, humidity and differential pressure? Data centres must be maintained to specific environmental conditions to ensure the performance and longevity of the hardware installed. As standard, temperature must be 18-27 °C, dew point 5-15 °C dp and humidity no higher than 60 %rh. This ensures the hardware is at a suitable temperature, condensation is avoided and the chance of static build up is reduced (caused by low humidity). A control range of ±9 °C may seem relatively broad, however 100% of the energy supplied to server hardware is converted to heat. In most data centres if the cooling system fails and servers are not shut down, heat levels will rise above a critical 35 °C within minutes or even seconds. If unchecked, temperature levels will rise causing hardware damage and can result in electrical fires. Achieving the specified control range requires precision sensors and advanced control systems. Typically modern data centres are designed using computational fluid dynamics to ensure the very highest efficiency. Despite this it is estimated around 5% of US electrical energy used is for data centre cooling. Since 100% of electricity utilised by servers is converted to heat, theoretically a 100% efficient cooling system would require an equal amount of energy. Efficiency is measured by comparing total facility energy use, with IT equipment energy use. This is called Power Usage Effectiveness (PUE). Theoretically PUE can be 1 but typically reported values are above 2. By utilising precision measurements and design, modern data centres achieve PUEs of ~1.1! An improvement of 0.5 in a data centre’s PUE equates to a energy saving of ~£2.2 M & ~12,000 tonnes CO2 over 5 years (for a site with 1 MW load). What solutions can Rotronic offer? Rotronic provides a range of instruments for environmental monitoring and control. Reliable and precise outside air sensors and weather shields enable natural cooling to be utilised where possible. Inside the data centres, Rotronic interchangeable HC2-S probes can provide a combination of precise, fast response temperature and humidity measurements with ease of calibration. Our latest PF4 differential pressure transmitters provide precision low drift measurements. Importantly though we aim to understand your needs and build a relationship with the goal of providing an appropriate solution, combining instruments, training, calibration and ongoing support.